For 2016 Pantone have launched 112 new solid colours and 210 new textile colours. Now, the Pantone Plus Colour Library has a total of 1,867 solid Pantone Colours to choose from and the new eco-friendly Pantone Fashion, Home + Interiors Colour Guides feature an impressive 2,310 Pantone Textile Colours. 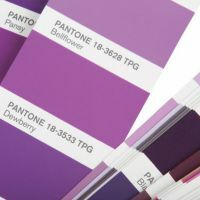 There is also a range of low cost Pantone supplements to accompany your existing Pantone Guides.